'Fontanka' Фонтанка (Olga Riabykh, R. 2017) Seedling A4393-3. TB, 43" (109 cm), Early midseason bloom. 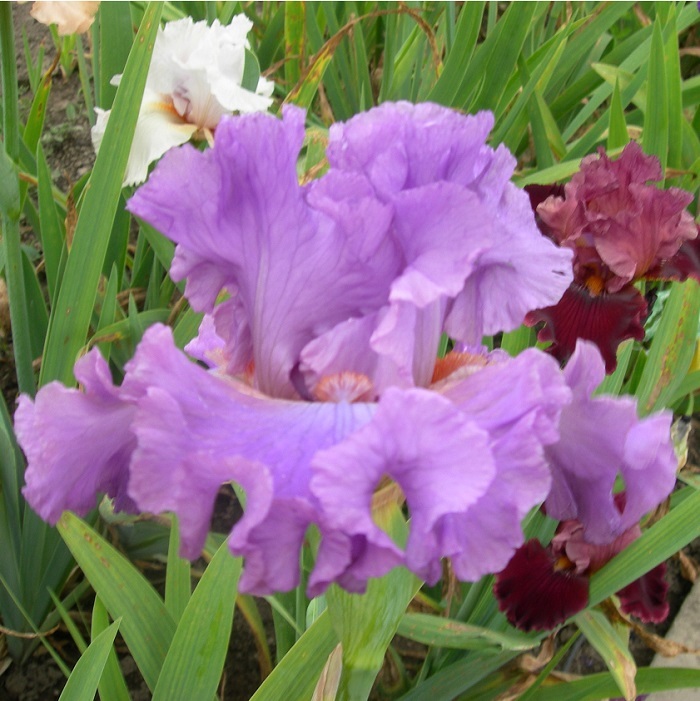 Standards lilac-orchid; style arms same, brighter on edge; Falls lilac-orchid, light lilac area with lilac veins on base; beards pink-red, apricot base, flounces; ruffled; laced. 'Letny Bal' X 'Social Blush'.